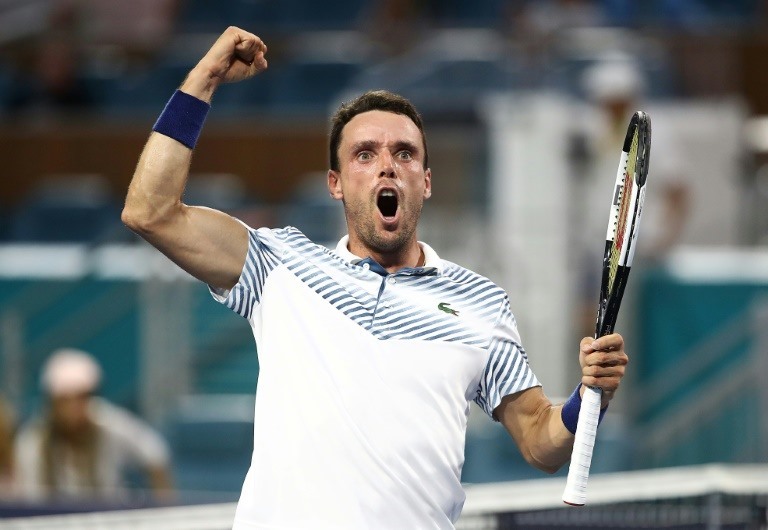 MIAMI — Spain’s Roberto Bautista Agut rallied to shock world number one Novak Djokovic 1-6, 7-5, 6-3 on Tuesday to reach the quarter-finals of the ATP and WTA Miami Open. Bautista Agut, ranked 25th in the world, booked a meeting with defending champion John Isner, who beat Britain’s Kyle Edmund 7-6 (7/5), 7-6 (7/3). The defeat derailed Djokovic’s bid for a record seventh Miami Open ATP title.